Enjoy the comforts of home in our condo-style units. Nestled among the Tongass National Forest - a northwest coastal rainforest. Each unit has gorgeous views of Monti Bay and the St. Elias Mountain Range. 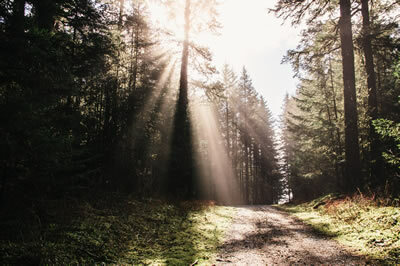 Explore the forest on many trails, hike fjords and iceberg-filled glacial lakes or trek along the miles of grey sandy beaches. See all our great rooms and ammenities. One of the top 10 beach cities in America, charming seaside community with history and natural beauty. Need to learn more? Ask us. We are open year round! Even more at the Mooring Lodge. Come to Yakutat and stay with us! You'll experience miles of grey sandy beaches, old army relics, great hikes, an ice filled lake, festivals and an historic train used to haul salmon. And, remember, we have world class river and ocean fishing! We can assist you to rent a vehicle, find fun activities(like the Tern Festival and Fairweather Day) and even help you save money on your vacation groceries. 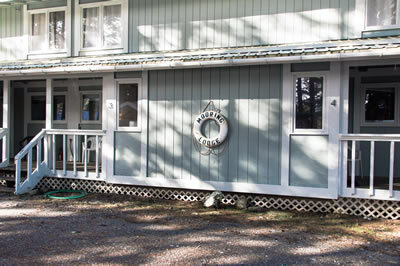 Enjoy the comforts of home at the Mooring Lodge in beautiful Yakutat, Alaska. Fully equipped condo style units with views, sauna, and more.